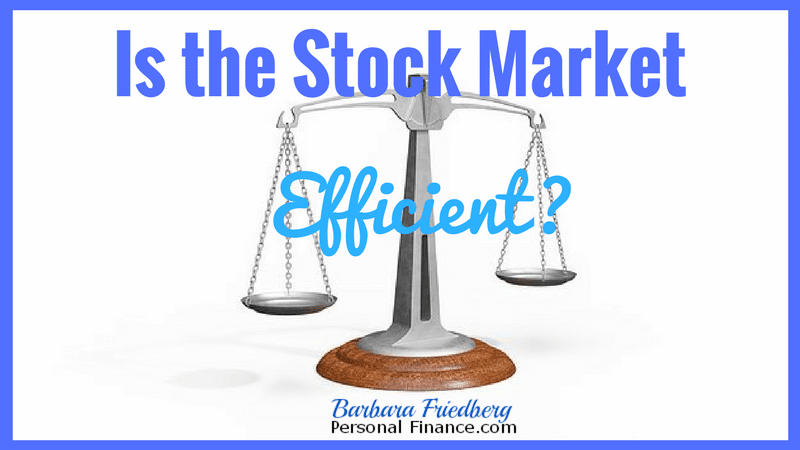 Are Stock Markets Efficient or Not? 300 million responses later I am no less daunted. This question is one of the most widely debated investing questions. The “semi strong form” of the EMH includes the weak form and adds that stock prices also adjust rapidly to the release of all new public information. Practically, this means that stock prices adjust so quickly to information that investors can’t profit from technical analysis (analyzing past stock price trends and movements) or even from fundamental analysis. The third type of the EMH, the “strong form” includes the weak and semi strong and adds on insider information. If the markets were “strong form” efficient, then investors couldn’t profit from securing insider information. We know that markets are not “strong form” efficient because it is so widely accepted that investors can profit from insider information, that it is illegal to trade on insider information. So we’ve ruled out the possibility that markets are “strong form” efficient, but are they weak or semi-strong form efficient? Read: What to Do Now That Markets Are Peaking? Should I Sell Stocks Now? During stock market bubbles, such as in the late 1990’s stock average PE (price earnings) ratios sky rocket driving prices way above fair value as defined by companies’ underlying business models. Shiller was among the forecasters who warned us about overvalued assets during the dot com boom and the more recent housing price bubble of the middle of last decade. 1. Momentum– A stock going up in price usually continues to go up (or down) even past the point of “fair value”. 2. Value Stocks-Lower valued stocks usually appreciate more than over valued stocks. 3. Small Cap Stocks-Small cap stocks usually outperform larger capitalization stocks. 4. The January Effect-Stocks usually go up in January. But, do these anomalies disprove the efficient market hypothesis or are there logical explanations that explain the incidence of out performance other than the fact the markets are not efficient? The Investor’s Business Daily founder, William O’Neil is a big proponent in the momentum approach and it is true that for a period, stocks do seem to continue moving in the same direction. Frequently, investors overreact to a positive or negative news incident causing the company’s stock price to deviates from fair value. The problem with making an outsized gain, above that predicted by markets, is persistency. Can an investor, over time, beat the EMH by investing in momentum stocks? It is unlikely, because at some point, momentum stops and share price returns to fair value. A successful momentum investor must be correct twice; when to buy in and when to sell. Small stocks usually grow faster than large stocks. Practically speaking, if a company sells $10 billion per year, in order to grow 10% they would need to sell $100 million more in the next year. That’s a lot of sales. At the end of the the year, many investors sell stocks with losses in order to benefit from the capital loss on their taxes. Thus, in January, they buy back stocks to remain in the markets. Simple explanation for the January effect. Can investors outperform markets over the long term without taking outsized risk (or without being overly lucky) and continue to beat the markets year after year? After decades of investing in the markets, picking stocks, and index funds, I’m convinced that over the long term an index fund approach, in line with one’s risk tolerance is the most effective way to invest. A passive index fund investing strategy is easy to implement and market returns are good. Click: for a DIY investing platform, with portfolio management guidance. Stocks have averaged about 9% over the last 80 years or so and bonds about 5%. 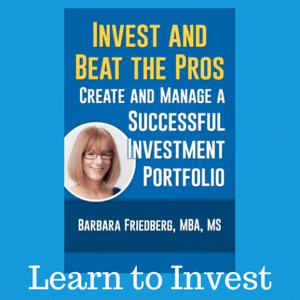 If you do want to try to outperform the markets, go with indexing for the majority of your portfolio and invest 10 to 15% of your financial assets with an active strategy. 1. 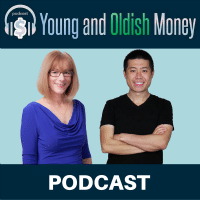 SEP IRA versus Solo 401(k); Which is Better? 2. Should I Pay off my Mortgage or Invest in the Stock Market? What is your opinion? Are markets efficient or not? Do you use index funds or actively manage your investments? I don’t think all the factors are priced in immediately which means that they are not efficient. I think the market is always lagging, it’s lagging less than before because more information is readily available. Technical analysts will argue that all they need to do is look at a Chart to determine direction, I don’t think that’s the case. I am a big fan of index funds although I use some sector funds and individual stocks to balance out my portfolio. My sector funds and individual stocks are used for growth and less volatile than other choices. I’m much honored you picked my question. What an excellent explanation! Thanks for taking time to address this very complex topic, Barb! @Nick, Actually, a research study which looked at how quickly stock prices reacted to an earnings surprise showed that there was a big jump in price immediately after the earnings announcement, but the stock price continued to move in the same direction for up to three months after the announcement, giving investors some time to get in (or out) on the trend. @Krantcents- A bit of both, that’s covering your bets. I studied this when getting an MBA in finance, and think it’s a more challenging question than meets the eye. Your write up is really good. Ultimately, for the average investor, your suggestion makes sense to me – in terms index funds. After all, many if not the majority of actively managed funds tend to underperform index funds after factoring in costs. Are Stock Markets Efficient? They’re more efficient then I’ll ever be! @Ray, My portfolio is almost all index funds and I’m selling any remaining individual stocks I hold from years ago! The inefficiencies of the market may allow some people to outperform beyond just dumb luck, but certainly not me. (I thought I could using momentum in the late 90s but got hit pretty hard in 2000.) I am now perfectly happy with market returns minus cost. I would have to say markets could be much more efficient than they currently are. High frequency trading and insider trading have the effect of draining shareholder equity from the market and serve no other purpose in my book. 10 – 15 % with an active strategy is very good advice. I see novice investors getting burnt because they invest 100% of their capital in active strategies with high volatility, when things are going well they get incredibly rich and when things go wrong they lose money and panic sell. I have 50% of my money in Fixed Term Deposits, 10% in Dividend Aristocrats UK, 10% in Dividend Aristocrat US and the remainder scattered between Peer to Peer, Index Funds and Property. Great advice, thanks for sharing. @Bryce-You are not alone. Many (including Nobel prize winners and well known economists)well respected financial professionals support an indexed based approach to investing. @Paul-The easy access to information may be a blessing or a curse, depends upon the circumstances. I agree that it’s tough to beat any market inefficiencies. Hopefully, insider trading laws deter! @Nick, Sounds like you have a well thought out conservative portfolio. What factors led you to this allocation? 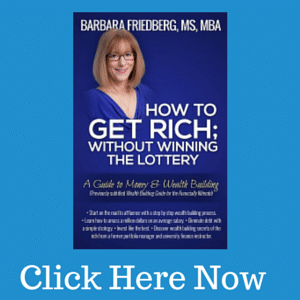 Barbara, this topic leads me in loops all day as well, and I agree it is not easy to make a quick determination one way or the other. I’ve often read that ideas that sound great on paper don’t lead to beating the market in practice in the long-run. I did find one study, however, that showed some investors can do better than average somewhat consistently. It is a paper called “Can Individual Investors Beat the Market?” from the Harvard University School of Finance. If one can beat markets consistently with a reasonable effort without taking on excess returns, I’d certainly like to hear about it. Bill, thanks for weighing in.